We stand on the precipice of the third great transformation of Jewish life in modern times. It shouldn’t be news to any of us that Judaism has always exhibited a dual tendency of retaining what of value it inherited from the past and, at the same time, of transforming that inheritance to be able to advance the needs of each new age. That trend has accelerated. Let’s highlight the transformations in American Jewish life and then explore the one that is now aborning: Judaism is shifting from a tribal expression into a stream of world wisdom. The bulk of American Jews today descend from the great immigration of 1880-1920 when Ashkenazic Jews from the Pale of Settlement left Russia and settled on the East Coast of the United States. Most American Jews to this day are related to those Ashkenazic Jews from Poland, from Lithuania, from Latvia, from the Shtetls of Eastern and Central Europe. They fled to the United States, it should be noted, to get away from two repressive dangers: The first (and the one we love to talk about) are the Cossacks and Antisemitism. But the second oppressive reality they fled was coercive Rabbinic Judaism. Make no mistake, the learned and the pious stayed in Europe, and they and their descendants were murdered. We are the children and grandchildren of the plucky ignoramuses who wouldn’t take no for an answer. In fact, they didn’t bother asking their rabbis whether or not they could move to New York, they just packed up and left. On the way, they flung their tefillin and their wigs into the turgid Atlantic. 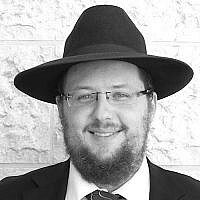 They were leaving not only Russian oppression; they were leaving rabbinic oppression behind. No surprise that when they came to North America their first needs were to create a safe, comfortable haven where they could be comfortable being who they were. That generated a dual agenda: fighting the general Antisemitism of the surrounding culture, and creating spaces where they didn’t have to feel excessively Jewish. Ironically the only way they could not have a sense of being “too Jewish” was to retreat to places where there were only other Ashkenazic Jews. They created the legendary lodges in the Catskills, where you could talk with your hands, eat pickled herring or picled Salmon (which is something!). The food was kosher and mostly mediocre, but you could order as much of it as you wanted. These havens hired Jewish artists and comedians who shared the immigrants humor and sensibilities. They hosted classes in knife painting in which you could cover an entire canvas in a mere four minutes, painting an idyllic scene you never actually visited — all in four minutes! Those new American Jews needed a safe haven because the larger culture slammed shut the doors of opportunity. Our immigrant forebears were restricted in what neighborhoods they could move into, what jobs they could hold. They were criticized for talking too loud, for talking with their hands, for using too much Yiddish. They felt like outsiders and so they created institutions in which they could not have to deal with being so Jewish. No surprise that they created synagogues where a congregant didn’t have to be too Jewish and wouldn’t get hassled for the patina of Jewish we carried. These Americanized synagogues successfully met the needs of that first generation. What is extraordinary is that they erected institutions throughout the country. They built synagogues, they established rabbinical schools, created institutions of Jewish learning and culture that allowed them to successfully start to engage with the larger culture while feeling at home in this adopted country. Their institutions successfully met their needs, but those needs are no longer our own. The second great transformation of American Jewish life took place around and after World War II when millions of our people were butchered back in the very countries we had fled a generation or two earlier. The pressing issue was no longer how do we adapt into the ways of this country or even how to gain a foothold, but how to combat the virulent mid-century Antisemitism? 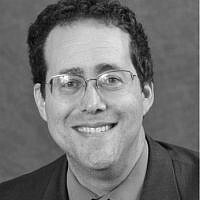 How to create a space for ourselves as Jews where we can be participants in the robust and raucous life of American democracy? To meet these new needs, the institutions that were created and modified in this generation were no longer places to retreat so we didn’t have to be consciously Jewish, this post-War generation created powerful anti-defamation leagues. They expanded congresses and committees. Now was a time to mediate Jewish power in democratic contexts: They scrambled to generate effective ways to support the Zionist effort creating a Jewish democracy in the Middle East, and they created agencies that would engage in the political system and the cultural life of America. This is the period in which the Jews took advantage of the openings in American life, attending their colleges and universities, composing the music sung in their musicals. We became their entertainers, their artists, their doctors, their experts. That age produced unbelievable success for the post-war generation of Jews. Nobody today comments on Jews serving disproportionately on the Supreme Court, or in Congress. It is commonplace to hear Yiddish in the entertainment industry, the finance industry, business, and academia. That presence is a tribute to the success of the second transformation of American Jewish life, the time in which we intensified our Jewishness and insisted that we had the right to apply the lesson of the Civil Rights and Women’s Liberation movement: that we could be ourselves not only in private (which is what the first generation established), but also adamantly in public. In ways large and small we put big Jewish institutions out there for the whole world to see. That was the second wave. Today’s challenge with the first and second wave is that they succeeded. They accomplished what they set out to do. American Jews by and large, feel comfortable in private and safe in public. And we feel safe exerting pressure on the political system as a whole. This past summer witnessed the American Jewish community engage in a brutal internal debate on a contentious issue of international concern, with Jewish institutions publically exerting enormous political pressure on the United States Senate and with a popularly-elected President (who most Jews support), willing to go head to head on an issue that many in the community felt was vital for its own wellbeing. Whether you agree with that move or not, what’s noteworthy is there were no earthshaking repercussions: Jews were still invited to two Chanukah parties in the White House. The Democrats and the Republicans are still seeking to represent Jewish voters and continue to invite Jewish engagement in the upcoming elections. Jews are a public facet of American Jewish Life. The first two generation’s waves have succeeded, and we pat an unanticipated price for that success. That price is that we can no longer use fear to inspire Jewish living anymore. We can’t use ethic solidarity or security as a reason to be Jewish anymore. These claims are what motivated Jewish life in this country for a 100 years: terror and anti-Semitism, the specter of being rejected, isolated, and marginalized, these just don’t sell anymore. We Jews live in the same neighborhoods, graduate from the same schools, attend the same universities, enter the same professions, and offer our counsel at every level in business, in academia, in science, in government. So, what’s left? What are the needs of today? It turns out that Judaism is one of the great traditions of world wisdom. We have nurtured a way of life that has caressed and strengthened a resilient people throughout our wonderings. Whatever the political conditions in each age, Jews could retreat to Torah learning, to the practice of mitzvot, to warm and engaging an intrusive community and in that embrace, they could emerge renewed. We have wondered through persecutions and exaltation, into places that were happy to host us and other places that could barely abide our presences. In and out of all of those locations, we carried Torah with us because it made our lives better. Torah – the living and the learning — molded us more resilient and stronger. The time for fear is ended. No one will be scared into Jewish anymore, and they shouldn’t. Because it turns out, the Book of Deuteronomy is right. The Torah tells us “this is your wisdom and your understanding in the sight of the nations, who, when they shall hear all these statutes, shall say, Surely this great nation is a wise and understanding people (Deuteronomy 4:6),” that we are to live our lives in such a way that the nations of the world will look at our practice and say, What a wise people! What a great God! Rashi’s interpretation removes any possible misunderstanding: this verse speaks about wisdom. Rav Saadia observes that it is specifically about justice and truth. The standard for Jewish authenticity is wisdom, justice, and truth, such that a well-meaning Gentile will notice and be inspired! What would it look like to elevate that criterion for this third tide of American Jewish life? This hunger for wisdom is not limited to North America. Those same dynamics now affect Jewish life in Europe, Jewish life in Israel, Jewish life in Australia, and everywhere there are Jews. Indeed, we are blessed to live in an age in which millions of non-Jews are willing to glean Jewish wisdom if it will help them live better lives. We will win Jewish (and universal) allegiance if Judaism is robust, if Judaism augments human life, if people can thrive better because of the wisdom Judaism brings to our lives and our communities. 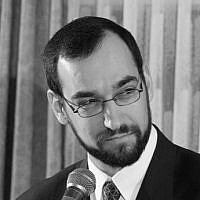 What if we placed the criteria for a good Jew not in the hands of a small cabal of rabbis and agencies who assess Jewish status by how well one practices a particular ritual, how learned and literate they are in ancient texts, how pure their bloodlines, how vocal is their nationalism? Those characteristics can indeed matter, but they are important for what they cultivate, not as an end in themselves. They ought to deliver a mensch which should be apparent even for someone who doesn’t read Hebrew or Aramaic or is able to supervise a kosher establishment. This kind of decency ought to be visible in the way we conduct our lives with ourselves, with our loved ones, with each other, and how we engage the world. That’s what our Torah passage insists: that a Gentile will look at our lives and recognize that whatever is inspiring us is wise and good and would benefit anyone. But let’s add another group into that mix. Maybe when we say “the nations” we ought to include that large sector of our own people who are themselves wrestling with Jewish illiteracy and ambivalence. How about all those Jews who don’t know how to practice mitzvot? When they look at our religiosity are they inspired to say that’s amazing? Or do they recoil before what appears to them as lunacy, cruelty and craziness? If our passion for Judaism makes us appear insane, smug, and judgmental, well, the Torah has already weighed in on whether that can count as good Judaism or not. Rashi is already agreed with Deuteronomy’s judgement whether it does or not. I want to be clear here, I am not arguing against rigorous learning or scrupulous practice. But if the practice does not lead to a broadness of heart, it is no service to God. If it doesn’t lead to a deeper capacity to feel the pain of your fellow human being, to take on their suffering as your own, if it doesn’t allow you to rejoice better when something good happens to the one sitting next to you, then really what is it for? Our challenge as Jews hoping to mentor this next wave is to help midwife the transition from Judaism as an ethnic enclave into Judaism as a world tradition of wisdom. We have what to teach. We have what to share with the world. Ours may be the greatest wisdom secret that humanity has yet to discover because it has been hiding in plain view. And it is our job to bring it out there into the world. To do that you have to know the sources, how else can we transmit the wisdom that people are starving for if we don’t ourselves become fluent in it? How can we become their teachers if we don’t teach them the language of our classics, if we do not teach them the rhythms of Hebrew and its multiple layers conveying meaning over meaning if we don’t ourselves become practitioners? How can we show people what a life of spiritual discipline can be if we don’t ourselves grow in mitzvot as well? But if we do these things simply as a way to judge others more harshly, if we perform these mitzvot thinking they is the criteria for Jewish judgmentalism then we betray our own heritage. We turn our back on God, and in this age no one is putting up with it anymore because they can live a perfectly fine life without it. I mean Jews who have been swimming in the sea of Torah for a long time and lost their way. Lost their way because they thought that punctilious was the end in itself, the goal, rather than a means to an end. We can help them through our living to see Torah as a path for greater humanity, greater joy, greater life. I mean a path for those Jews that have been so wounded by the way that Judaism was presented to them, inflicted on them, that all they had when they turned to Torah is pain and rage. We can help them to show them there’s another way; a truer way in which Torah becomes the balm of its own healing, and Torah becomes the solution to the problems that its defenders took upon themselves to inflict. And I mean a new group in this day and age: those legions of human beings (and they number in the hundreds and thousands if not millions), people who are open to taking wisdom wherever they find it, people who are willing in the same day to do Hindu Yoga, Zen meditation, and listen to a talk of the Dali Lama, read a tweet from Pope Francis, and yes they are willing to look at the Facebook page of a Rabbi if it has something to offer them that can help them live a better life. In an age which people are finally, finally, finally, willing to embrace the wisdom of Judaism, don’t we owe it to them to make it available, to be able to first of all wrap ourselves in it like a cloak, and then to be able to share the warmth with those who cross our paths? Don’t we owe to them that we seek them out, and we help them with Torah’s wisdom whether they are Jewish or not? This isn’t about changing the label; it is about giving access to a tradition that has inspired and transformed human life across the ages. What we are sitting on is too precious for us to try to own or to permit anyone to monopolize. This is no time for business as usual, no time for simply doing Jewish without opening it to the world. The resilience of Judaism comes from having been repackaged from a time when we were assaulted and at the same time allowing us to renew ourselves for each new age. Now is the time for us to be renewed, to allow this time, this day, this age to forge new contact to the Torah of healing, the Torah of humanity, the Torah of wisdom and compassion, and to allow ourselves to be made over in its image so that we ourselves will be forces for healing in turn.